Do you want your Korean language skills to shine? Essential Korean Grammar offers what you need to understand and express which grammar option is best. Having a solid understanding of grammar is vital to learn Korean effectively. How to combine grammar points with each type of word. How it is similar to and different from related grammar points. Things for learners to watch out for. The example sentences for each grammar point use simple vocabulary that even a beginner will know. 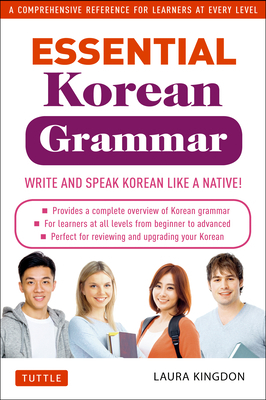 A perfect supplement to any Korean language textbook.